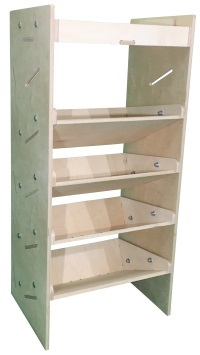 Rhino-Racks.co.uk Online Ecommerce Ltd, Boyd House, Cherry Drive, Blackburn, Lancs. BB6 8HJ. 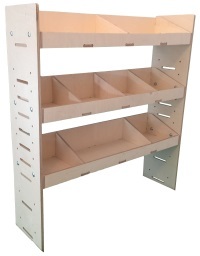 Free Next Working Day Delivery On Orders Over £50.00 + Vat (See Terms and Conditions). 3 Metre LadderStow Ladder Guide Rails RAS37 - Universal Fitting Kit Supplied. 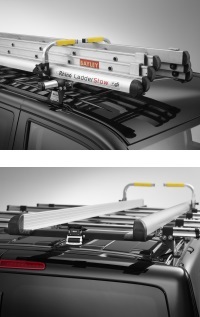 LadderStow system for an easy and quick way of storing ladders onto the vehicle roof. The LadderStow system is manufactured from aluminium providing a lightweight, durable design and excellent corrosion resistance. 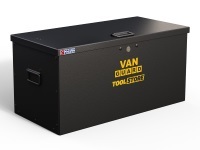 The cleverly designed end caps provide an aerodynamic shape at the front whilst also acting as a loading surface at the rear to aid in the loading process and protect the van. 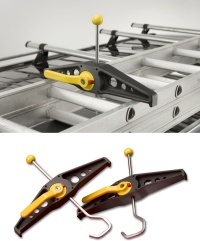 The width of the LadderStow is adjustable for different ladder types and sizes, whilst its height can be adjusted to accommodate single to triple ladders. 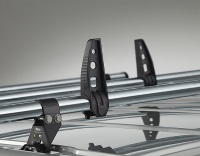 The LadderStow secures the ladder in place with a multi adjustable strap and buckle at the rear. TUV GS - safety approved and 20g crash tested. 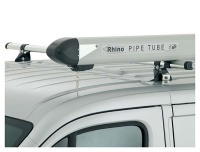 Mounting hardware supplied with this kit is suitable for use on all brands of roof bar, providing the bar dimensions are no smaller than 30mm wide x 20mm deep and no larger than 50mm wide x 40mm deep. 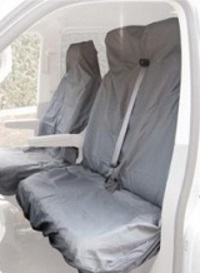 Detailed fitting instructions are supplied with this product. Note: van roof bars not included. Next working day delivery for online orders placed before 4pm. Free delivery on all orders over 50.00 + Vat (See Terms and Conditions). All images/pictures are for illustration purposes only.